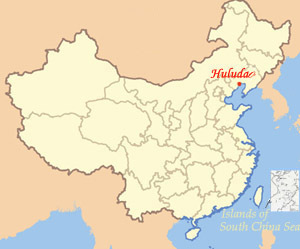 Hulu Villa is located at the foot of Mt. Tianjiao besides Pohai. Now five scenic spots are open to the public, including Shengshui Lake, entertainment area, recreation area, fishing area and planting & picking area. Inside the villa builds Liaoxi Folk-Custom Museum, Gourd Exhibition and Huludao History Exhibition. 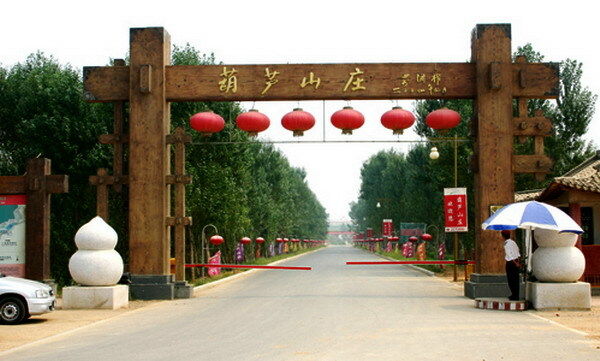 There are five sections in the spot, Interesting Melon Yard is one of them, which exhibit several weird melons, such as UFO melon, hand of Buddha melon, mini stingless melon and so on. The gourd yard collects ten more kinds of gourds with different shapes and sizes, and the vegetation yard has many rare vegetables. The whole villa is a big garden.